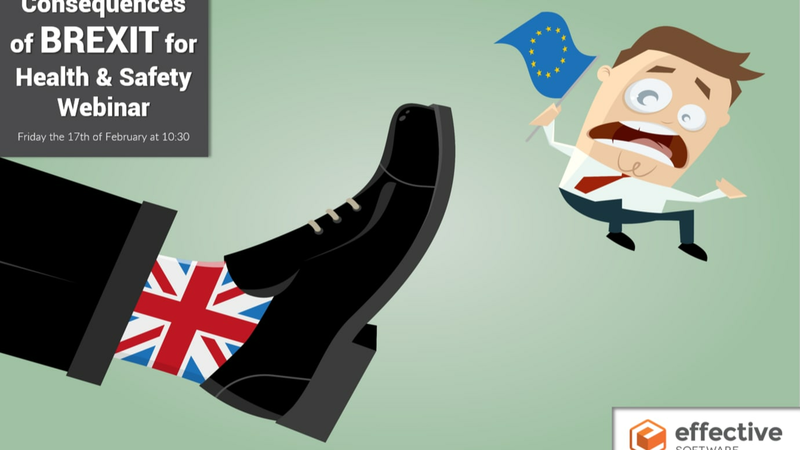 We are delighted to be hosting our “Consequences of BREXIT for Health and Safety” webinar on Friday the 17th of February at 10:30 GMT. The webinar will last approximately 20 minutes and will be presented by Bridget Leathley, freelance Health and Safety consultant, trainer and writer and Billy O’Brien, Director of Customer Success for Effective Software and former Health and Safety consultant. In the meantime, have a read of our Consequences of BREXIT for Health & Safety blog piece to stay informed.